Mike Vorel of the South Bend Tribune won first place in the Associated Press Sports Editors 2017 contest for feature writing in the 30,000-75,000 circulation category. Vorel’s story was about former Notre Dame great Chris Zorich and his life after football in college and the NFL. 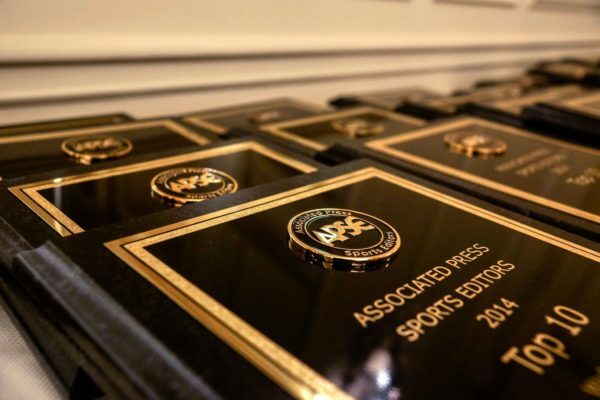 Vorel will be presented a first-place plaque at the 2018 APSE banquet. The banquet and awards dinner concludes the APSE Summer Conference June 17-20 at the Marriott Hotel Nashville/Vanderbilt University. The second- through 11th-place winners will receive frameable certificates. Contest chair John Bednarowski and fellow APSE officers Jeff Rosen, Todd Adams and Robert Gagliardi numbered each entry. Preliminary judges selected a top 11, and from there another group of judges ranked the finalists in order from 1 to 11 separately on a secret ballot. Entries were given 11 points for a first-place vote, 10 for second, etc. The winner and final rankings are determined by tallying the ballots. Entries in APSE’s features category were judged on human interest, reader interest, quality of writing and thoroughness of reporting. The top 11 are listed below with links to writers’ Twitter pages, APSE member websites and the winning entries.